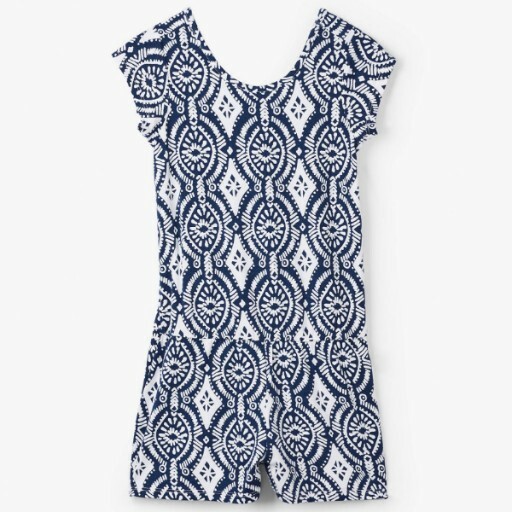 Comfort and style meet in this navy medallion faux dress romper. Perfect for all her outdoor summer adventures, both of you will love how easy this outfit is! Features: Short sleeve short romper Scoop back neckline Machine washable 95% viscose, 5% spandex.